Jain will give you an understanding of the 16 basic Sutras or ‘Word Formula’ which can solve all known mathematical problems by using an ancient yet simple system of MENTAL, ONE LINE ARITHMETIC, used extensively by the Hindus more than 2,500 years ago. His pioneering dvd “Vedic Mathematics For The New Millennium” on this subject is the first dvd in the world that comprehensively describes these vedic sutras and is a tribute to Bharati Krshna Tirthaji. The knowledge goes even further back. Jain calls this modality, Galactic Mathematics which is base 12. During this day you will learn how to multiply 3 digit numbers in your head with no calculator, pen or paper. How could the Aryan civilisation, near the Hunza Valley, 3,000 years ago, mentally compute mathematical operations that today only a calculator could achieve? Jain wrote an article: VEDIC MATHEMATICS REDISCOVERED for the Nexus Magazine, Oct/Nov issue 2003. He shows how an understanding of the 16 basic Sutras or ‘Word Formula’ solves all known mathematical problems by using an advanced and highly intelligent system of MENTAL, ONE LINE ARITHMETIC used by the Hindus more than 2,000 years. From response all over the world, this article has awakened many people to start questioning all the missing gaps and insufficiencies in the current mathematics curriculum. If you or your children can’t understand the fragmented and confusing mathematical data taught today? Would you be interested in another method that boosts confidence,increases memory skills… and is presented in a fun and exciting manner? After this program, you will never multiply, divide or add in the same manner again. And no more Times Tables! In this workshop you will know how to accomplish rapid calculations, mentally. No more Calculators which make the brain lazy. The brain is a mental muscle and needs to be exercised. Jain predicts that “if we continue to teach children with an over-emphasis of using calculators in the class-room, over a 20 year period, then no doubt, the Global Brain will deteriorate”. We pride ourselves that we are a highly intelligent species, but really, are we getting dumber. Most young people are visual and the ability to tap into ‘Pattern Recognition’ is the key to rapid mental calculation. “Jain he is an absolute wizard at displaying the real ability of your mind as he empowers students to perform mental calculations, in many cases… quicker than a calculator. Yes you did hear right! Jain reveals to you simple methods to mentally calculate all the complex math you can think of. At the same time he shows you how the world as we know it is more than we think it is”. Vanya Markiewicz QLD Australia. How could the Aryan civilization, near the Hunza Valley, 3,000 years ago, mentally compute mathematical operations that today only a calculator could achieve? And if the mathematics could not be done mentally, how could they do everything we know today, IN ONE-LINE? eg: converting the fraction 1/19 into a decimal is an 18 digit answer that requires 35 lines of exhausting long division, how could they do it in a one simple line solution? Why is NASA secretly using this MENTAL, ONE-LINE SYSTEM OF ARITHMETIC in the field of Advanced Artificial Intelligence? and not incorporating it into our current mathematics curriculum. Why are many of Bill Gate’s Mathematicians Indians? 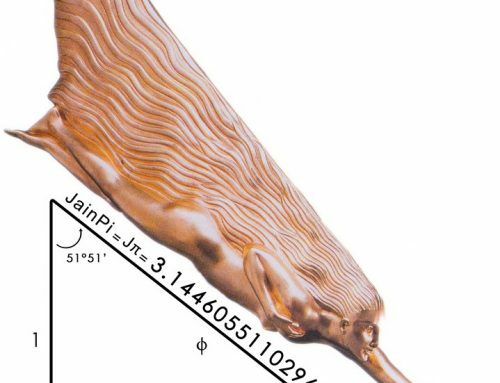 Is the decimal form of Pi (3.141592) a sonic code for dedications to Krishna? What does the Bhagavad Gita have to say about this lost science of Clairvoyant Calculation that the ancient Temple Builders employed? How can you become a Human Bio-Calculator? Is the current Western Mathematics Curriculum keeping our Children in a state of limited intelligence? The answers to all these questions are found by understanding the ancient system of Vedic Mathematics as rediscovered by Bharati Krsna Tirthaji (1884-1960), of Puri Govardhan Math, dux of India in Mathematics and a Sanskrit Philosopher who wrote and spoke perfect English, he reached the position of a Shankacharya (the spiritual head of India 100 years ago, like a Dalai Lama or Vatican Pope), renunciated several high official positions in society to retreat into a forest for 7 years as a yogi, between 1911 and 1918 in which time he collected all the lost mathematical knowledge (Ganita Sutras), improved and reconstructed them to 16 basic Sutras or word formulae that solve every known mathematical problem. These 16 Volumes relating to the 16 Sutras was our legacy from the ancient past. 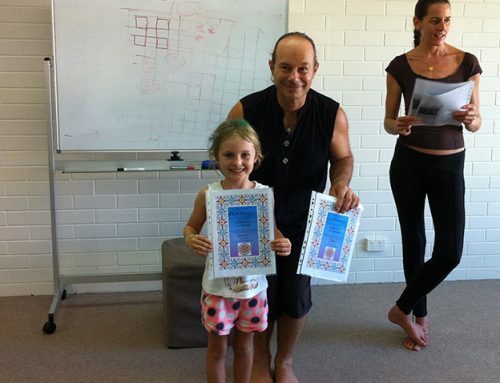 re-introducing the lost Vedic Mathematics Sutras early in a child’s spiritual and educational development. Imagine a maths class in India today, like in the times of old when knowledge was passed on as an oral tradition, and the teacher quickly calls or drills out certain numbers to multiply or divide and the children instantly reply with the correct intuitive answers! 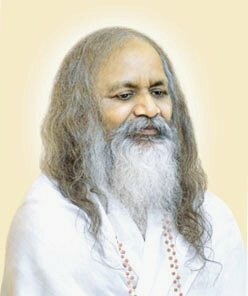 Today, in schools where Maharishi’s Transcendental Meditation technique are used students perform remarkably well academically, viewing Mathematics as a Universal Language and therefore often winning the highest competitive prizes in mathematics. Maharishi organized the scattered Vedic Literature into a complete science of consciousness for both its theoretical and practical value, describing the 16 Sutras as fundamental impulses of intelligence that structure all the Laws of Nature and those that govern the Universe. bible on this subject and spawned a thousand web-sites worldwide. Maharishi schools disseminated the teachings to England where certain schools have adopted the Vedic curriculum but the irony is that today India is struggling to release the British curriculum and NASA have adopted it fully in the realms of advanced robotics. Calculations that can be solved as quick as lightning are a great tool to adopt, but you wouldn’t want to teach it worldwide in the fear that you may churn out a generation of child geniuses that may threaten the intellectual status quo. 0, 10, 100, 1000, 10000 etc all of which add to 1. Let us look at some practical examples, in light of the fact that the Vedas, literally “the illimitable storehouse of All Knowledge” came under 4 headings or categories like Ayurveda (Healing), and Vedas for Music and Astronomy etc and one relevant sub-Veda that related to Temple Building and Engineering and therefore Mathematics called SthapathyaVeda. Thus a Vedic Mathematician was also an astronomer, healer and poet. It was a total system. As a temple builder, there was no pen and paper, you simply calculated in your head. You are out in the field and you need to tile a square floor that is, say 108 units square. How do you do it with mental ease? I add the excess of “8” to the other number “109” and then tag on the multiplicatin of those two excesses: “8” and “9”. says one of the 16 Sutras. Sounds cryptic and meaningless yet it quickly solves the problem. Archangel Michael’s Internal Light Vehicle Merkabah Time/Space Travel and Natural Spiritual Powers Versus Lucifer’s daring invention of the External Merkabah or Artificial Technological Metal Spacecraft). What if we enlarged our numbers to 998 Squared? (Since we are in Base 10,000 the 4 Zeroes determine the need for 4 digits after the ( / ). There is a world-wide debate currently raging about the efficacy of Vedic Mathematics versus the crumbling foundations of Western Mathematics. Generally speaking, the theorems we all learned at school are not wrong but clumsy. Some of the Western geometrical formulae are certainly wrong or inadequate: for example, the formulae for sphere packing in the higher dimensions increase up to the 6th Dimension then suddenly decrease for higher dimensions, which is simply absurd. Unfortunately, some die-hard senior mathematicians in an attempt to protect the crumbling foundations that they now stand on feel threatened by the lightning quick mental calculations of the Vedic seers, and go to great lengths to deride Vedic maths as a “bag of tricks”. And of course, many insecure teachers worldwide are afraid to rewrite all their course material. “The Path of Least Resistance”, or “The Law of Economy”. 252 = 2 “By” 3 / ……..
= 2 x 3 / …….. Thus the answer is 625. Left Brain style of moths you learnt at school). a 3-Digit Answer represented by the 3 short horizontal lines. = 6 2 0 6 (nb: the “2” of the “20” is carried over to the left hand side). There are 16 Jaw-Dropping Sutras or simple Sanskrit Word Formulae which solve all known mathematical problems in the branches of Arithmetic, Algebra, Geometry and Calculus are easy to understand, easy to apply and easy to remember. This Vedic One-Line Mental Arithmetic is very helpful in stimulating Modern Mathematicians to adopt its simplicity and quickness. Once initiated to these Vedic rules, students of all ages will appreciate and enjoy the enhanced subject. The aim of Vedic Mathematics is to bring this long-hidden treasure trove of intelligent mathematical knowledge within easy reach of everyone who wishes to obtain it and benefit by it. When scientists have a problem, say with electronic data, and they need to send it efficiently, the solution is invariably Compression. Digital Compression is a powerful Sutra that solves multiplication by 11 very quickly. Eg: What is 108 x 109 in 5 seconds? Solution. In Base 100, both numbers exceed the Base by 8 and 9 respectively. which gives us half the answer. which is 8 x 9 = 72. What is Vedic Mathematics? It is a Mental, One-Line system of Arithmetic developed in India over 2,000 years ago, that gets children off the calculator and enabling them to do large multiplications in their head within seconds. There are 16 Universal Sutras or Formulae to learn, and in this Lecture, you will be familiarized with about 6 of them. It improves Memory Skills and Confidence. Teenage children welcome, as they will benefit from this demonstration. 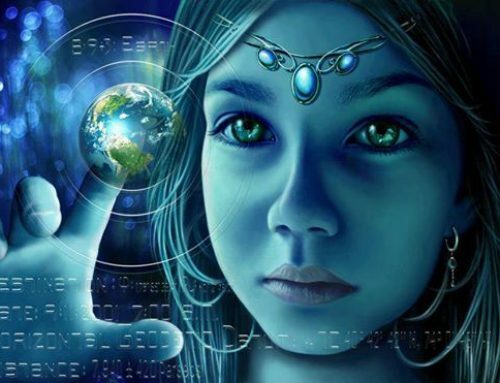 People all over the world are currently getting excited about this ancient lost Knowledge, and over 20 schools in the world have now adopted this technique. VEDIC MATHEMATICS FOR THE NEW MILLENNIUM. known as: VEDIC MATHEMATICS part 2 of 5 in the series: THE LIVING MATHEMATICS OF NATURE, a 5 dvd set. 1) How has your experience been in Hongkong as a Senior Director of Mathemagics Asia.? Which institutions or universities have you lectured in while in Hongkong.? How did you feel while touring in Hongkong? I have only just been appointed a director, and have not yet flown to Singapore to share my curriculum with them. I have done extensive work and teaching here in Australia, so at the moment, I am more of a consultant. 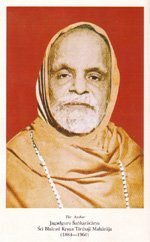 I created the first dvd in the world on Vedic Maths, , after being inspired by the Pope Bharati Krsna Tirthaji who died in 1960. Thus, it is only early days, I am waiting for classes to build. Then I come and teach. (My English colleague Kenneth Williams, is the other director for the same company, he wrote the first major books on Vedic Maths for the western world, which inspired me to create the dvd.) I also wrote the first major article in the world on vedic maths, for a Nexus Magazine feature article in November 2002, and it went out to 1 million people in 6 languages of the world. I guess this is what put me on the world map. (I am guest speaker for Nexus Magazine’s next international conference in Australia in July 2010, and will reveal the connection to Vedic Mathematics and the secret number 108)! 2) How has the response of students been to your lecture in Hongkong. How do they react to the Vedic Mathematics which you teach them.? How many students are there in your Hongkong centre? I taught twice in India to the thousands of students there that I met. I had the privilege of learning and teaching with these students. I believe that Indian students are much faster and more intelligent than the western student in terms of doing their times table mentally like performing calculation in their head like 14×16 they know it instantly, yet western students are doing it on a calculator which is a shock. To my amusement, the Indian students found it strange yet uplifting that a westerner like myself (even though I am Arabic from birth, but born and living in Australia) was teaching them their own system, that had been lost. So me coming to India and teaching or reviving Vedic Maths is a bit like GoenkaJi, a family man from Burma, who revived Vipassana after Buddha’s techniques had been lost. One of the ironies is that my colleagues in India who are distinguished and natural Vedic Mathematicians, like Gaurav Tekriwal of Kolkutta, are shocked that the response to Indian high school students is somewhat apathetic, meaning that a lot of Indian students are so lost in the glamour of becoming like American citizens, that they still want to learn the old English way of doing maths, and don’t realize how amazing their own Vedic Maths system is. There is a lot of unlearning and undoing to do, to help Indian students realize the magnificence of their culture, and not to be too enamoured by the western artificial standards. 3) As a Senior director of Mathemagics Asia, What are your future plans in Hongkong? Are you launching new Math courses here? My basic curriculum, is very unique in the world. Vedic Mathematics, is only like one of ten slices of the pie. I teach also Sacred Geometry and the the Mathematics of Nature. My main theme is the Translation of Number Into Art, making maths visual, and using what I call: Digital Compression which reduces bigger numbers to simpler single digits, (like 108 = 1+0+8 = 9). There is a grand secret knowledge hidden in this concept of Digital Reduction, and I call it The 17th Sutra, an extension of Bharati Krsna Thirthaji’s 16 Sutras. and am keen to merge Indian Knowledge with the western stream of Mathematics. 4) Please share with us your views on the popularity of Vedic Mathematics worldwide as you have been travelling? What do you think has been your main contribution to the world as an expert in the field? And which country is your next series of talks going to take place.? Vedic Maths is 90% correct, being a system based on Rapid mental Calculation, it fails in Long Division. I give credit to Vedic Maths that large complex calculations can be done in one swift single line of calculation, and when it comes to Long Division, like 12345 divided by 22, I still use the western system that I learnt at school, and so I do not teach long division in any of my classes, but do show how it can be done, as it is a brilliant system, but not efficient and quick to use mentally. The places where I have been recieved and applauded for my teachings are mainly in India, America, Amsterdam and of course Australia. I am currently organizing a special contract to onsell my workbooks on vedic maths and other subjects to the www.mathemagicsasia.com so we are still at an early stage, and are not a fully fledged business yet. Best if you can contact the head and visionary of our team Mr Rajdeep Ghai. Are you interested in sending students from your countries to Australia. I am currently developing an International School here in Byron Bay, a beautiful and famous beach area in far north of NSW Australia, where students can study with me, and enjoy the surroundings of beach and rainforest. I have contacts with the Shearwater Steiner School in Mullumbimby, have a browse on their website, and this is part of the location where I will be teaching international students coming to Australia. I live 4 kms from this school, in a rainforest setting. 6) You seem to be a Very Spiritual Person also. How do you relate Math with spirituality? 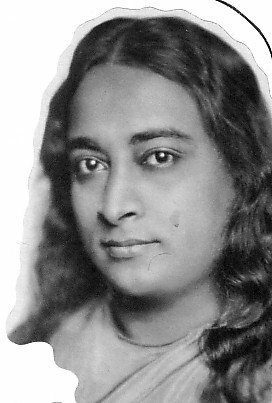 What is the Earth-Heart meditation? Can it be taught to students? What are its benefits? How does one do it.? As mentioned before, I live in a rainforest, near a running creek of pure water, so I am very connected to watching the rhythms of Mother Earth, and it is this depth of feeling of mystery, that mathematics can help to explain. For 30 years I have been an avid meditator and yoga student. In my early twenties, I had some accidents that allowed me to have out-of-body experiences when I was young and travelling in my homeland in Lebanon and this led to having visions of creating new schools. That is why I am so passionate, in the sense that I know clearly what I am here to do. In 1984, a Vietnam thug plunged a knife through my chest or Heart Chakra, just missing my heart, but penetrating my whole body. I survived to live to tell the story, then was a hermit in a remote area of NSW for 4 years to rebuild my life. Part of my healing was about The Heart organ, so I developed the Earthheart Meditation which is a single breath into the Heart, and expanding that energy out again, but based on the based on the Pine Cone Mathematics or Living Mathematics of Nature, specifically known as the Fibonacci Sequence: 0-1-1-2-3-5-8-13-21-34 etc eg a pine cone has two counter-rotating or opposing spirals, but they are not equal in their numbers of spirals, if you look closely, there are 8 spirals going one way, and 13 going the other way. A sunflower has 21:34 spirals. This is known as the Divine Proportion. Ultimately we want our students to embed this ancient knowledge into their Heart. Its called Astral Hygiene and is as important spiritually to meditate as it is for the body to perform daily yoga. I always teach Meditation to students before we even start learning Mathematics. Because mathematics can be so mental, I also get the students to dance to Sufi music but in the fashion of the Whirling Dervishes of Persia or Turkey. 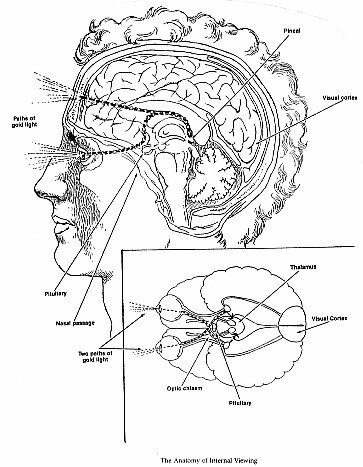 This helps connect the brain circuitry to the body. 7) Who are your work partners in the world? 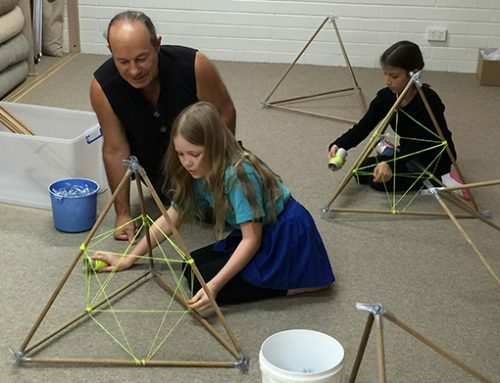 I mainly work alone, but have had some teacher training courses here in Australia, where some close friends who have studied with me personally and attended my seminars are out there teaching these concepts to students in schools. One of my gifts is that I have had the grace or opportunity to teach all around the world and also teach in all types of classrooms, like teaching in very Christian and Islamic schools, or Steiner schools or Independent schools or Montessori schools, which means I can pluck the best gems from all these differing systems and create a more wholistic approach to learning. 8) You have a very interesting story behind your name. Whats Jain 108? What’s your real surname? Why do you choose a number as your surname? My real name is Collin Saad, born in Sydney in 1957. I became Jain in 1984 after living with native Aboriginal elders (who did not speak English) in the Torres Straits near New Guinea for two years, where I learnt their version of Ayurveda, and the healing powers of herbs and roots etc. I learnt more about mathematics living away from westerners during this time, being in the deep Amazonian like rainforests, that I had an awakening about the Living Mathematics of Nature. When in India around 2001 I taught this knowledge about the hidden code in the Fibonacci Sequence 0-1-1-2-3-5-8-13-21-34 that when you compress this sequence to single digits and search for what is repeatable, you will find that this Infinite additive sequence of Nature’s special numbers, have a distinct 24 repeatable pattern, and when you add up these 24 single digits that repeat forever, they add up to this mystical number 108. So when I returned to Australia after teaching this 108 Code, learned pundit and mathematicians in Hyderabad who attended my seminars started writing my name on letters as “Mr Jain 108” so this epithet or title has remained ever since. Its interesting that the Indian flag has 24 spokes, and Jain religion has 24 Great Teachers, so I suspect that this 108 Code by Jain of Oz is ancient Indian or Atlantean knowledge, and got lost. I was able to find this pattern, because I had studied Vedic maths and western maths, I was able to make the invisibile pattern visible, if you know what I mean. I will be returning next year to India to reveal the beauty of this Phi Code 108 (“Phi” is a Greek symbol and is another name for this pine cone mathematics of proportions like 13:8 and or 34:21 which simplifies to 1:1.618033… and is really the mathematics of where the elbow bends etc…I will discuss this Divine Phi Proportion when I reveal this magic on 108. I find it as an honour that I can come back to the Indian world and disseminate ancient knowledge, especially since there are lets say a billion Indian people who mindlessly worship this thing called 108, yet they do not really know where it came from. So I can say quite confidently that I can offer the Indian community a mathematical derivation of where 108 came from, only because I understand the Universal Language of Pattern Recognition. This means that for your students to become better Vedic mathematicians, (which is Left Brain, logical, rational, linear), they really need to learn the feminine brain mathematics of all this is visual, and geometrical, to embrace what I call Whole Brain learning, then you will understand “Sri 108“. 9) Any message for your fans and students in India? and do research on Sacred Geometry. I look forward to returning to India for my 3rd visit, and sharing with you all that I know, as ultimately, all knowledge is to be shared. Its time for all this secret knowledge of the Brahmas to be revealed. This is what I live for: as Shakuntala Devi said in the title of her classic book: THE JOY OF NUMBERS.